Have you ever found a sewing pattern that you instantly know you’ll be making seven more versions of as soon as you can get more fabric? For Spoonflower team member Meredith, the combination of Celosia Velvet™ and the Cleo by Tilly and the Buttons has become the fall wardrobe piece she can’t live without. 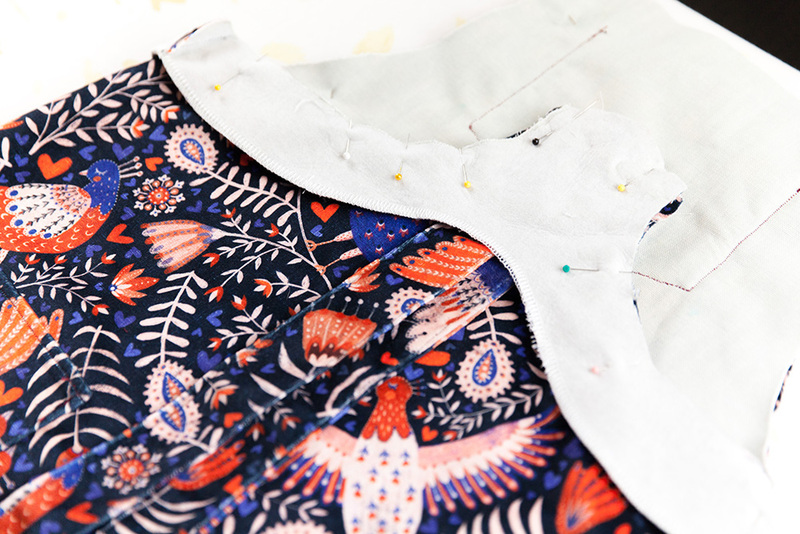 Keep reading to find out why she’ll be living in this pattern all Fall! 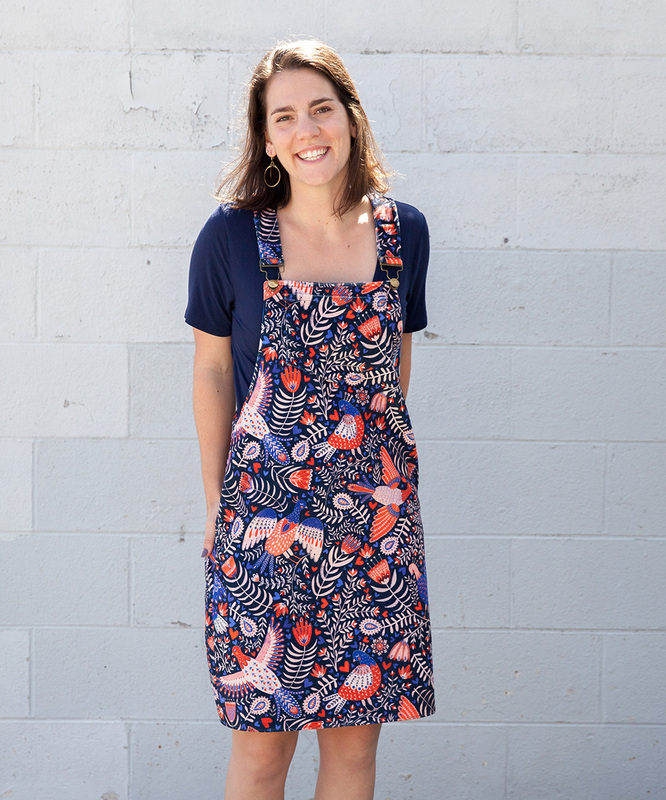 Meredith: If you’ve been following the blog this year, you may remember when I shared my love story with the Kielo Wrap Dress by Named Clothing, available on Sprout Patterns. I’m five wrap dresses in and still can’t get enough but these past few weeks had me on the quest for a fall version of this go-to dress. Versatility: I wanted a pattern that I could layer for the fall/winter with leggings and a sweater but in the summer pair it with a tee and be good to go! Velvet friendly: Ever since we launched Celosia Velvet™, I have been on the quest for a pattern that calls for a heavy apparel weight fabric. 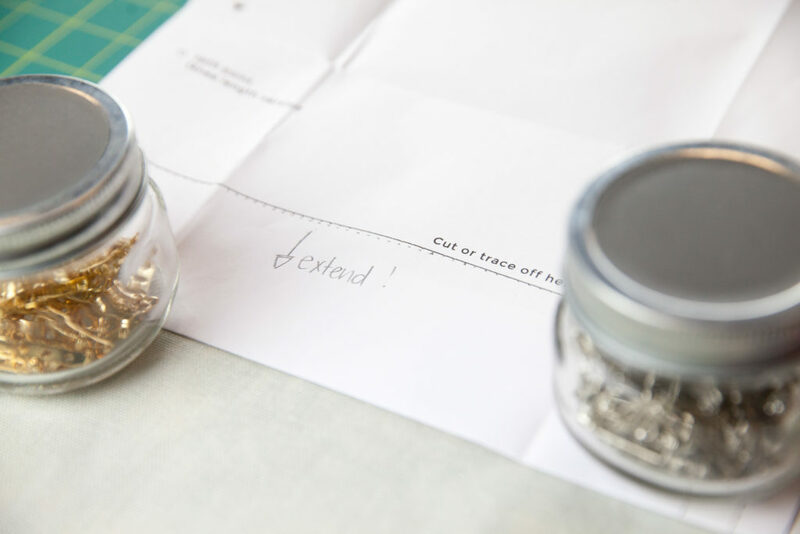 Easy to sew: In the midst of planning my wedding, I still wanted to spend some time sewing while not taking on a project that would leave me pulling out my hair! 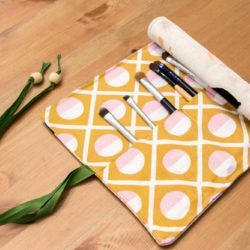 With these three traits in mind, I took to good ol’ Instagram to see what our sewing community was making and The Cleo by Tilly & the Buttons caught my eye. It was everything I was looking for and more! Does anyone else find Instagram as a great source for your next project? 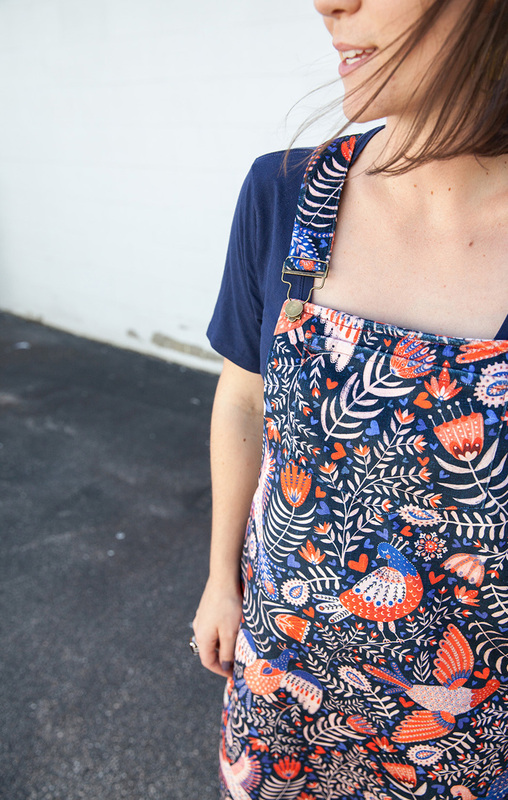 The beginner-friendly overall dress can easily be styled for all seasons depending on the weight of your fabric and the top you pair it with. The Cleo is a dream in the Celosia Velvet and I even gave it a try in our Eco Canvas for a more casual look. You could even sew up your own dress in our Lightweight Cotton Twill, Linen Cotton Canvas or Faux Suede! 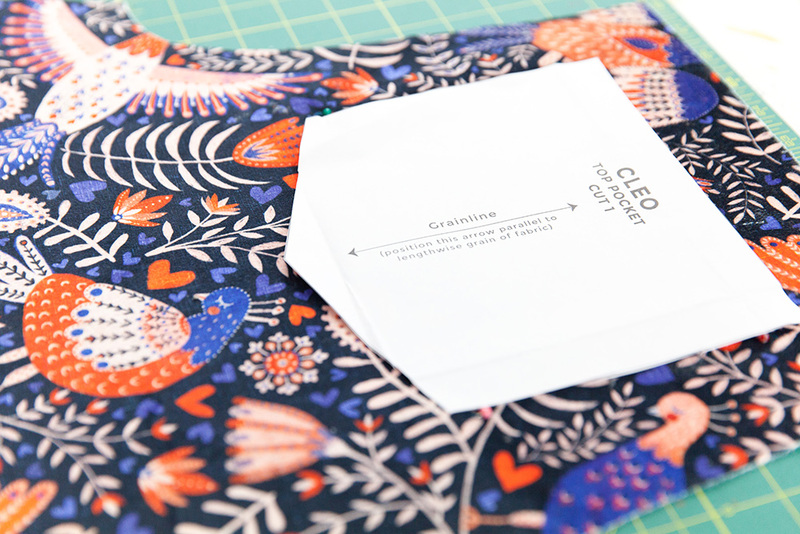 My wearable Cleo muslin showed me the importance of pattern matching! The thing I loved most about the Cleo was how well the instructions were written. I’m sending a virtual high five to Tilly and her team for the great work! Every step was clearly written and the coordinating photo made this project a breeze. I was a little hesitant for installing the hardware but the dungaree buckles you can purchase from their shop makes it a snap. 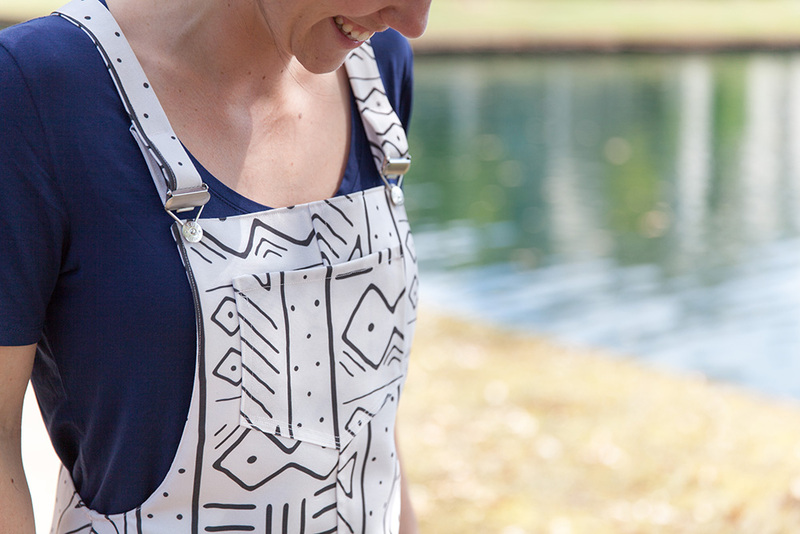 If dungaree buckles aren’t your thing, you can opt to stitch in buttons instead! Ready to see how I stitched up my Cleo? Dunagree Buckles or Buttons – You can order some over at Tilly and the Buttons shop! The first time I made my Cleo, I cut two front panels and two back panels, per the instructions. 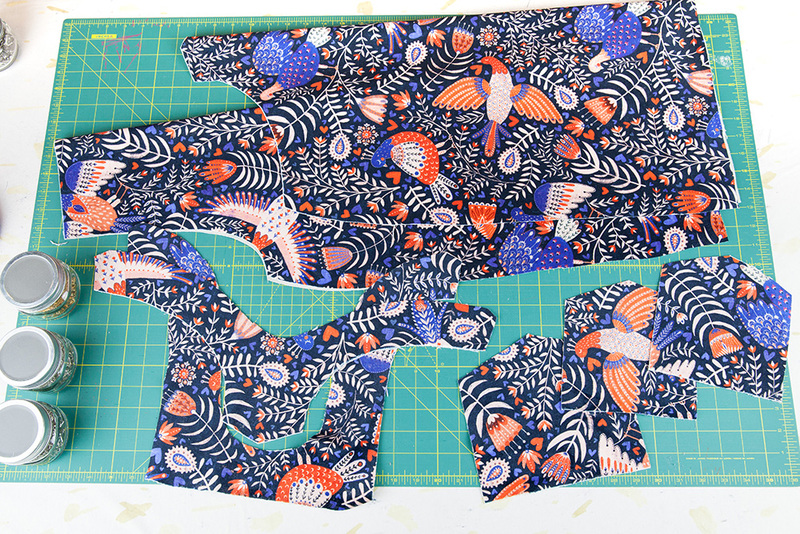 Unfortunately I didn’t cut my fabric in a way that would result in the fabric pattern to match up seamlessly so the second time around, I cut the fabric on the fold instead. This way, I could guarantee the pattern would match up! 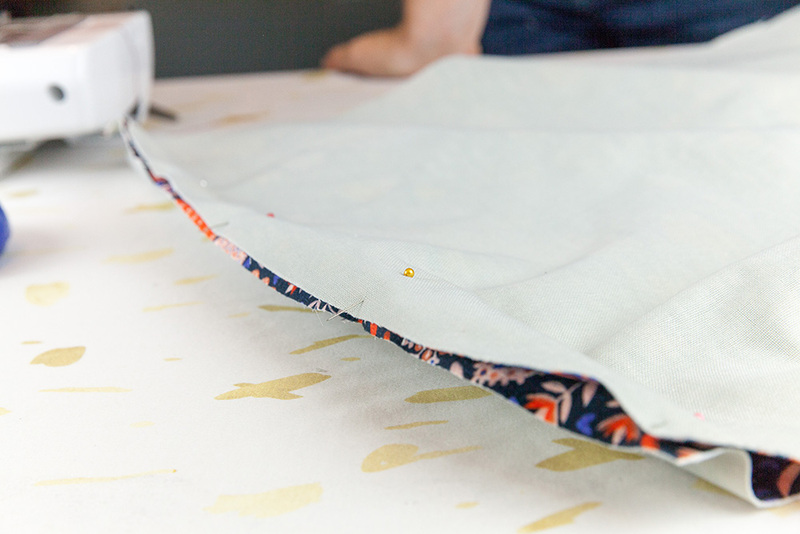 Have you ever cut out your fabric and forgot a small (but important!) 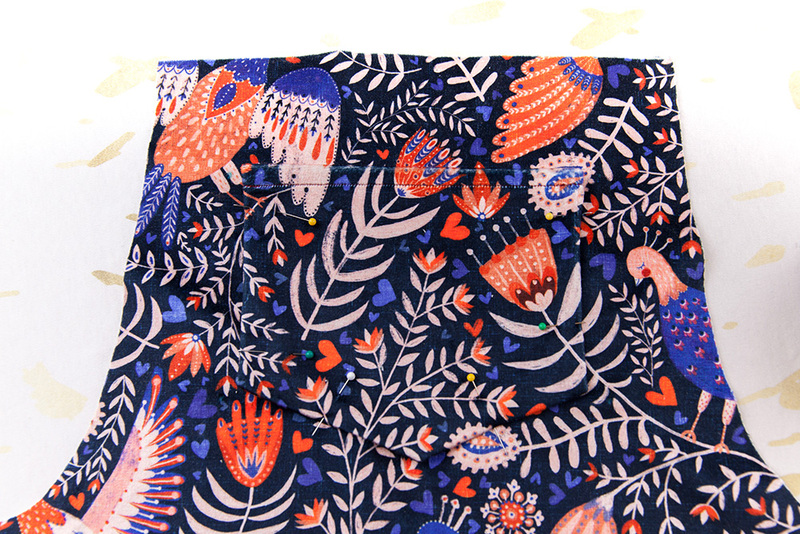 detail like pattern matching? The Cleo can be made in a mini version and a knee length version. My first version in the Eco Canvas felt a little too short so I extended the length on the mini pattern just a bit! 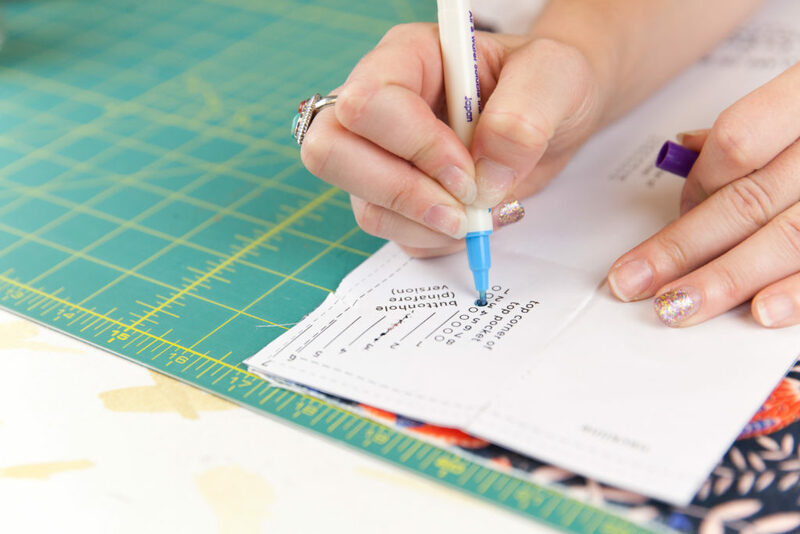 After cutting out your pattern pieces, mark all of the notches with an invisible fabric marker or chalk. 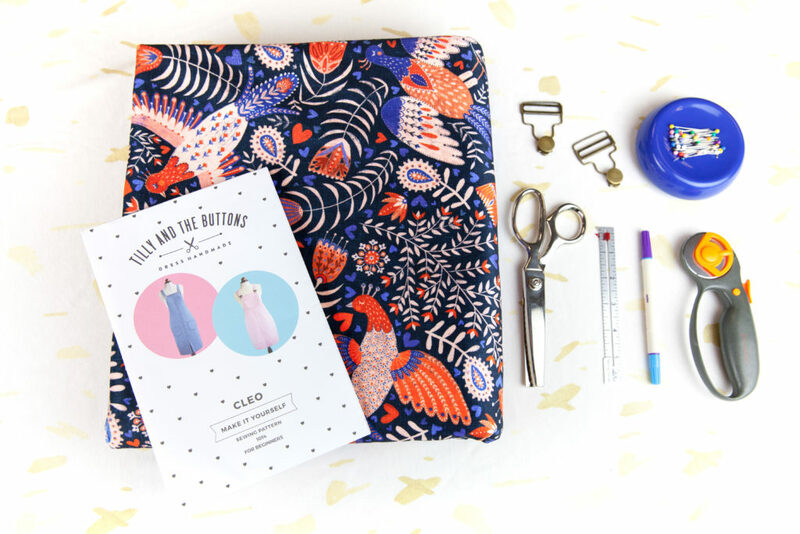 Remember my first Cleo and the struggle I had on pattern matching with the two front panels? Well, I learned my lesson and when it was time to cut out the front pocket, I was determined to create the perfect pattern match! To achieve seamless magic, I placed the pocket paper pattern piece (tongue twister!) on the front panel to determine where the pocket would lie and what area of the remaining fabric I would need to cut for the pocket. Once the pocket spot was determined, I cut out the pattern piece. 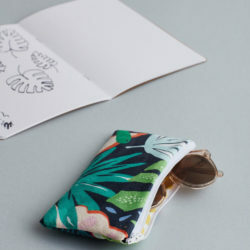 Let me tell you, when I wore my Cleo to work and people didn’t even know there was a pocket, it was a sewing victory for me! When it’s time to pin the back panel to the front panel, you’ll notice the two pieces don’t match up perfectly, but don’t fret, this is intentional! Just remember to match up the notches on the two side seams when pinning. 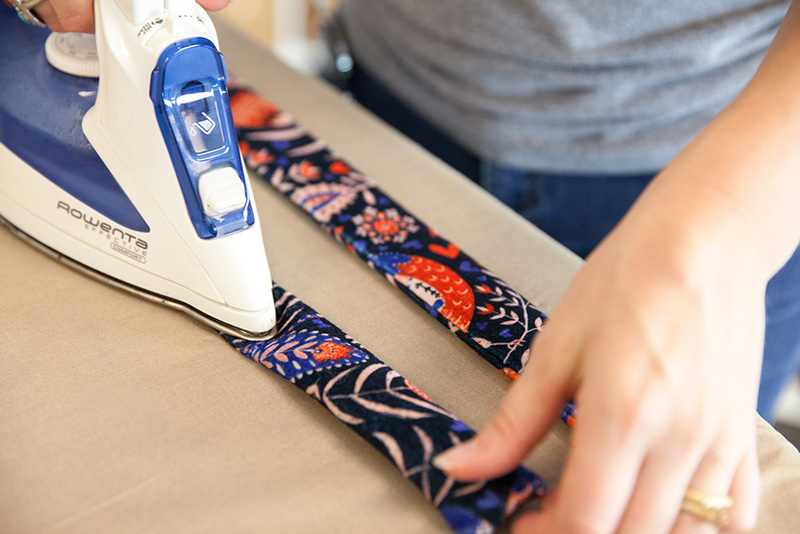 Press your fabric straps with a low heat setting. To install the overall straps, pin them to the top of the back panel, aligning the strap along the angled top of your back panel. 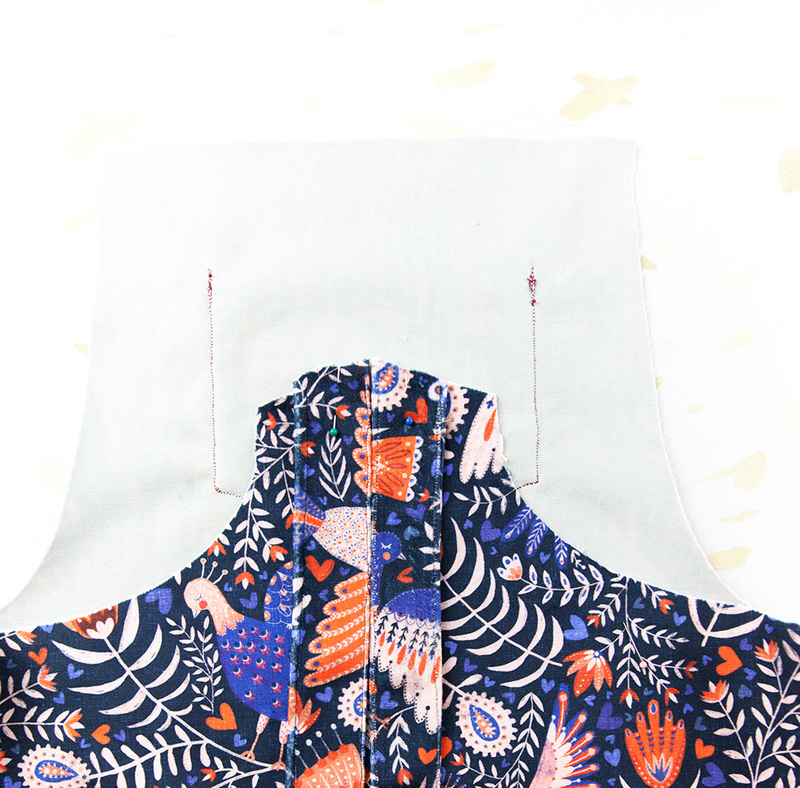 Pin the facing to the unprinted side of your fabric and stitch in place. 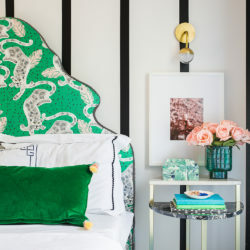 You could also cut out your facing from a coordinating fabric to add a surprise pop of personality! Flip your facing outward, press and edgestitch around the top edges. Install your dungaree buckles or buttons and then head on out to show off your latest creation! After I made my second version, I started to think about creating a pair with coordinating straps in a different fabric design! When you start thinking about all the different ways you can customize your overalls (straps, pockets, length, facing) you could have a unique pair every day of the week! 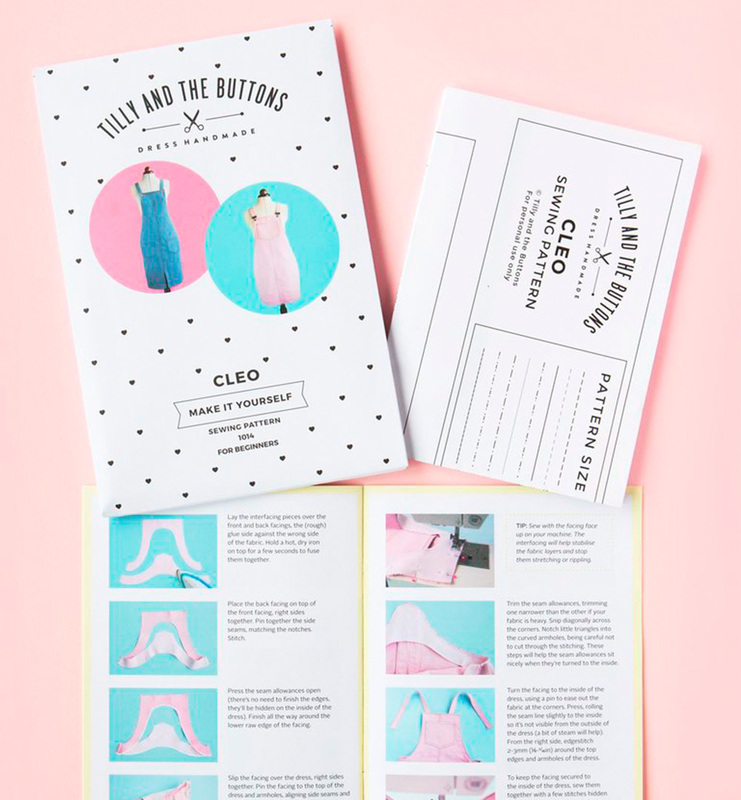 If you’re looking for even more inspiration, be sure to look up #sewingcleo on your favorite social channel and visit Tilly’s Cleo sewalong for even more tips, tricks and inspiration! 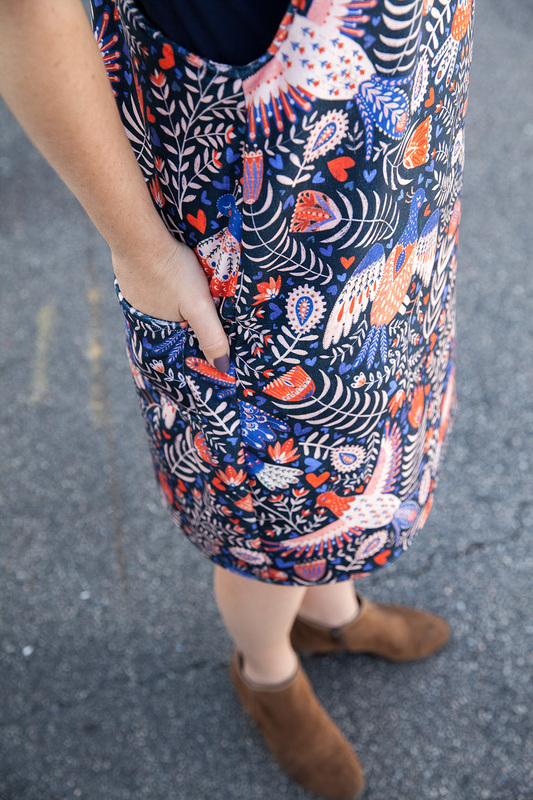 Looking for another me-made pattern to add to your fall wardrobe? Sara’s beginner boho blouse in Organic Sweet Pea Gauze would be the perfect addition! We’d love to see what you’re making this fall! 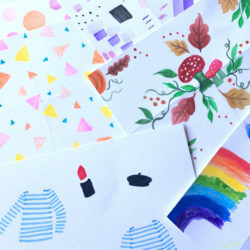 Don’t forget to share your DIY projects with #spoonflower on Instagram. Thanks, Deborah! I’m a big fan of Rebecca’s work. I could not love this Swedish folk art design more. Cannot wait to try the Cleo! We can’t wait to see your version, Theresa! 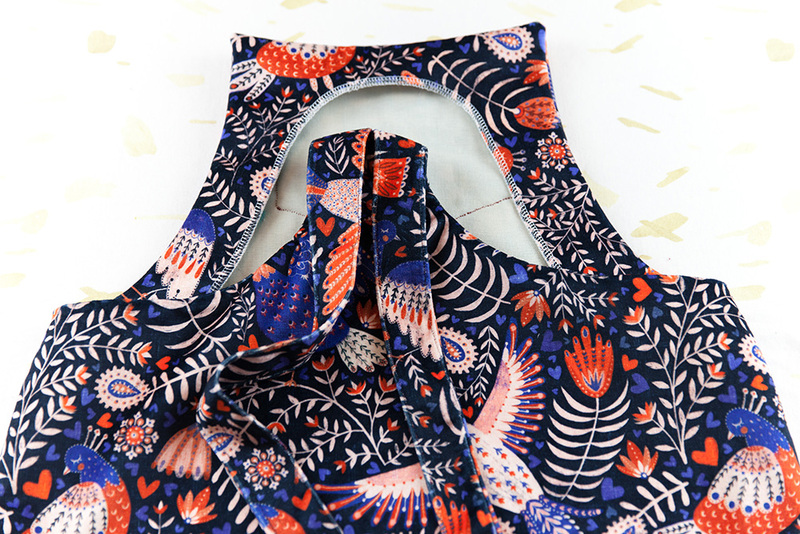 Your sewing projects never disappoint. I\’m new here. Where can I get the pattern for this dress? I don\’t see a link. 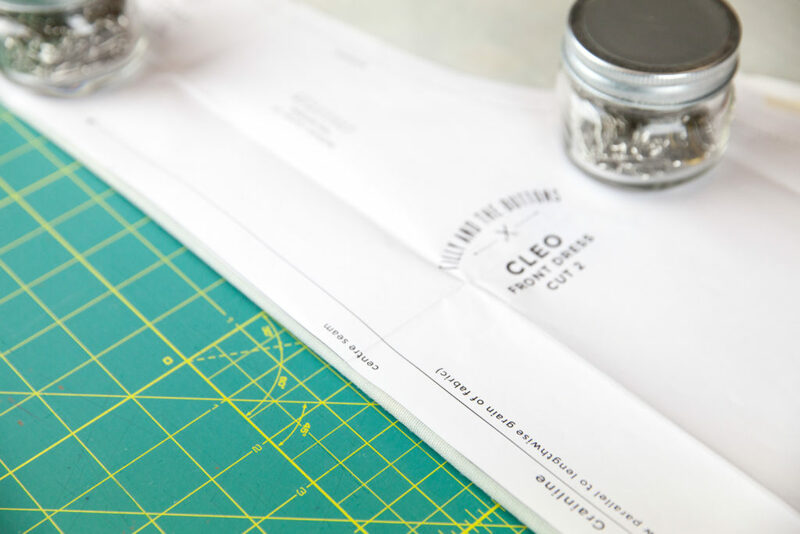 The Cleo is available for purchase directly through the Tilly and the Buttons site here. You can shop Rebecca’s design featured on this dress here. Love this pattern. Clicked the link because it said giveaway but see no entry info here. ??? 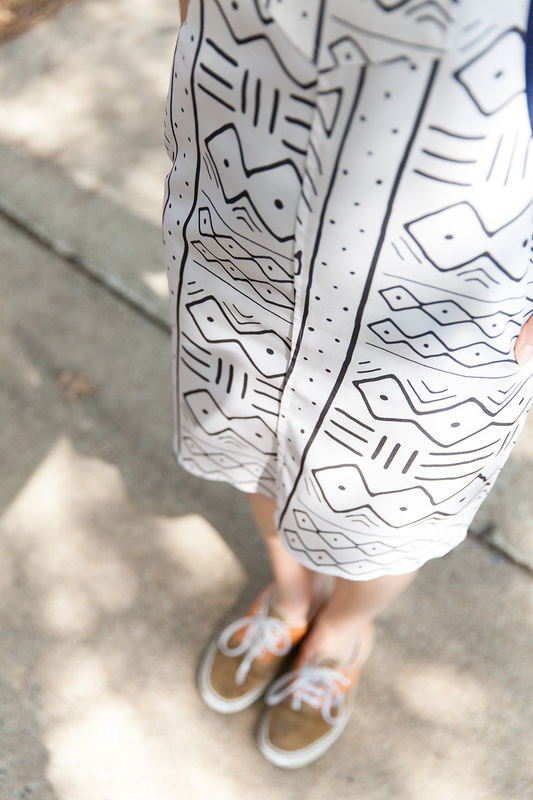 We’re so glad you love this pattern as much as we do! The giveaway was hosted on Instagram only and ended on Thursday, October 5.